Despite their enormous size, moose can move through the forest with surprising stealth. 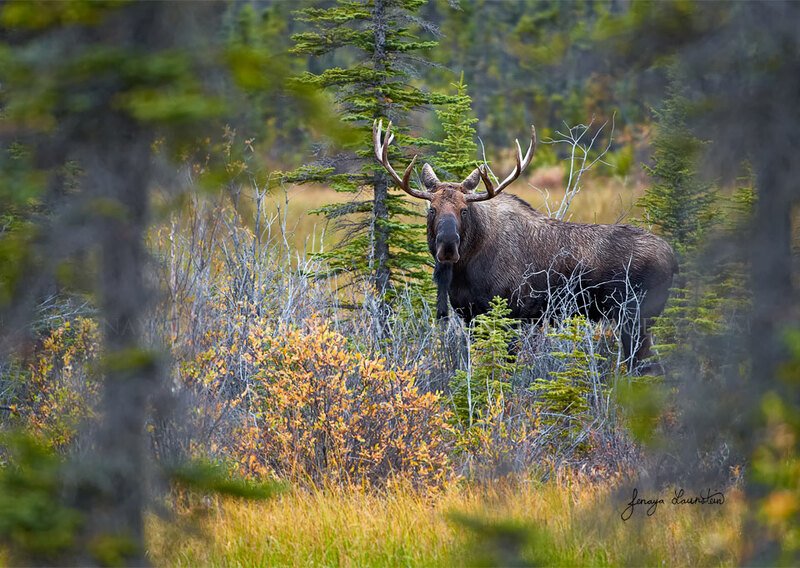 This handsome bull seemingly appeared out of nowhere, but Jenaya was able to quietly find an opening between the conifers to create the composition she envisioned. The bull posed for just a moment before continuing on his way in search of signs of a female to court at the onset of the fall rutting season. He disappeared into the Yukon forest as silently as he had arrived.